Heat up the butter in a pan. Cook the chopped garlic for about a minute, then add in the mushrooms. Season with salt and pepper and cook until the mushrooms no longer loose water and are golden. Add in the wild garlic and cook for a little bit longer until wilted, then remove from the heat. Slice the bread bun in half horizontally, toast it and place on a plate. 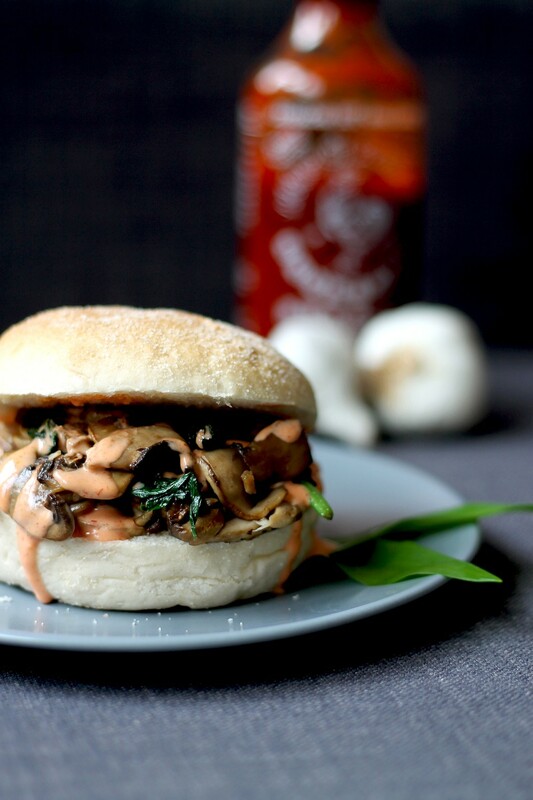 Pile up the mushrooms on top, drizzle with the sriracha mayo, top with the bun top and dig in immediately!